Shelby and his team of 16 engineers have put their skills together to produce a high performance production vehicle in the SSC Tuatara by highlighting this rear wheel drive, 1,350 horsepower speedster. SSC produced the Ultimate Aero that was able to topple the record established by the Bugatti Veyron. In 2007, the Ultimate Aero TT had a run of 256 mph on a four mile stretch of a Texas carriageway. The Volkswagen owned Bugatti, not to be denied, came back with the Veyron SS (Super Sport) and clocked a record 267 mph. With the Tuatara, Shelby SuperCars intends to reclaim that distinction of being the fastest car in the world, by aiming for a record setting 275 mph. As for the engine, Jerod Shelbyâ€™s team of engineers has come up with a rear wheel drive, quad cam (four valves per cylinder OHC), twin turbo V8 engine. This 7 Liter engine produces 1350 HP and revs up to 9000 rpm. Braking is aided by traction control, ABS with servo assistance, and the use of carbon ceramic brakes by Brembo. It comes in at 2646 lbs (1200 kgs) curb weight, which puts it at 1407 lbs(638 kgs) lighter than the Veyron. Little, if any, change has been done on the suspension in which SSC keeps the coil over setup intact along with the triple plate carbon clutch mechanism. Expectations are high on this new SSC Tuatara, with all those horses; zero to sixty mph should come in under 2.8 seconds. It has been claimed that its top speed will be at 275 mph, hang on to your seats for the final results. 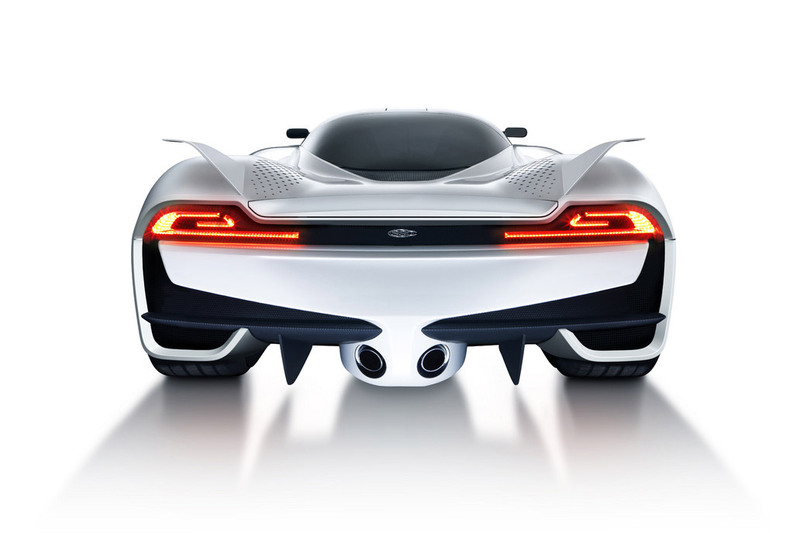 The body design of the Tuatara was rendered by Jason Castriota, an Italian-American designer who has been instrumental in creating some of the best looking cars in the world. Among his creations include the best in the industry, Bertone, Ferrari, Rolls Royce, and Pininfarina. Castriota was unsure whether he wanted to take on the challenge presented to him by Jerod Shelby in designing this latest from SSC. When he did take up the challenge, the result has become the ideal in combining form and function. The black teardrop shaped canopy splashed amid the white body provides a contrast in style and power. The classic shape allows it for a minimum of drag. 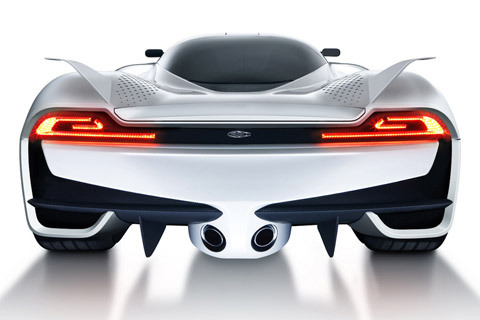 Dihedral stabilizers (wings) add to the Tuataraâ€™s performance and look. The winglets located in the rear not only improve aerodynamics, but also keeps the car together as it speeds up to 200 miles per hour. 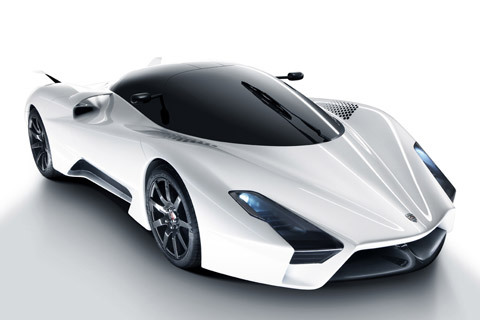 Body and chassis are made of carbon fiber, except for those impact areas in the front and rear of the Tuatara. It also has oval cut outs in varying sizes that help release heat produced by the engine through the body. 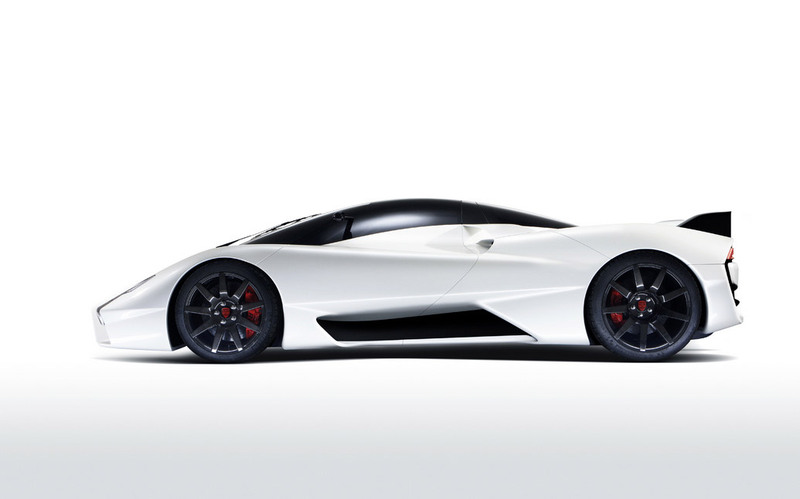 The Tuatara features an F-1 looking exhaust that functions as a diffuser in the rear. When looking down at this low slung supercar, the Tuatara can seem intimidating. 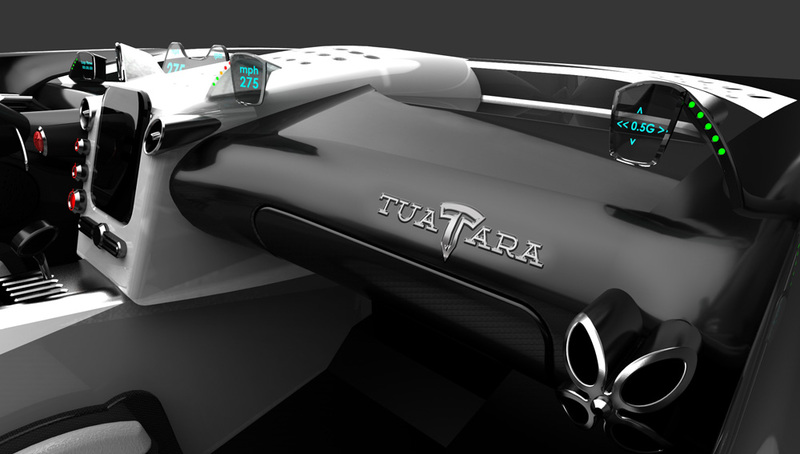 No one really knows what to expect what the interior of the Tuatara will look like. The total interior design has not been completed. 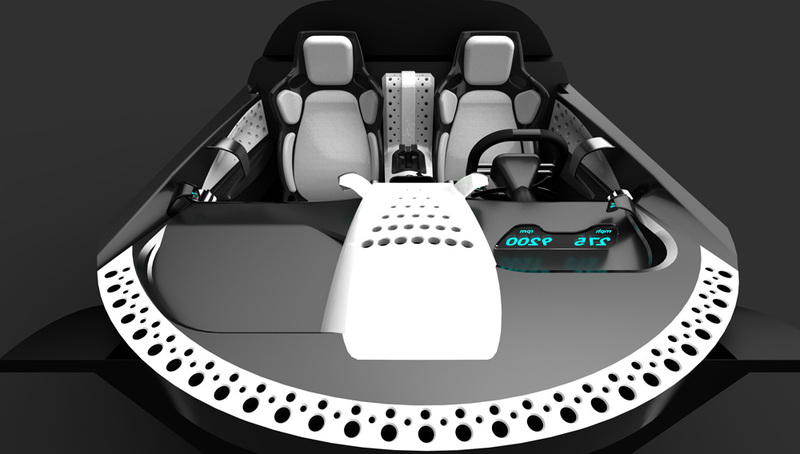 It will have the necessary features in driving a two seater, such as the seatbelts and auto air-conditioner. Speculation has it that the inside of the Tuatara will live up to its reputation in addition to providing easy viewing and access LCD central displays. There is little competition in this area of supercars. The SSC Tuatara is expected to be priced at $970,000, while the Bugatti Veyron SS rings the bell at $2.4 million. If you have extra to spend, the other potential alternative is the Koenigsegg Agera, $1.5 million. Whichever way you go, you have an international choice at your disposal; the SSC Tuatara from the USA, Bugatti Veyron SS from Germany, and the Swedish Koenigsegg Agera. Whether youâ€™re looking for a showroom vehicle or one for the racetrack, chances are the Tuatara will push its competitors once again to the limits, watch for this fastest evolving DNA creation from SSC. Has the looks of the must beautiful car for the price, and power to weight ratio to be a star yet has a diaper and is got a load in it, hope the seats are comfy planning to own one. Love the car, a must have, still the exhaust looks low in the pix may be not so on site. if you upgrade this bad boy, the top speed will go from 350 to over 400 MPH. base top speed is in the 270s. awesome car, but i don’t like how they did the exhaust in the rear. What are you thinking? This car is already a twin-turbo, and I doubt you could fit another two turbos in without tearing the car apart and depriving the turbos of cooling. The engine is probably going to be upgraded to the point where there aren’t better parts on the market, so good luck with that. All you can really do is tune the engine for race gas. But i can see only. Because i m poor there for i cannot buy this. 1. The # Fastest Supercar is Shelby Mfrg Tuatura Supercar is Fastest Stret Legal Supercar of the top ten Fastest Supercars is NO#3 iThe top Speed 275 M.P.H to max ium Peak Speed too! 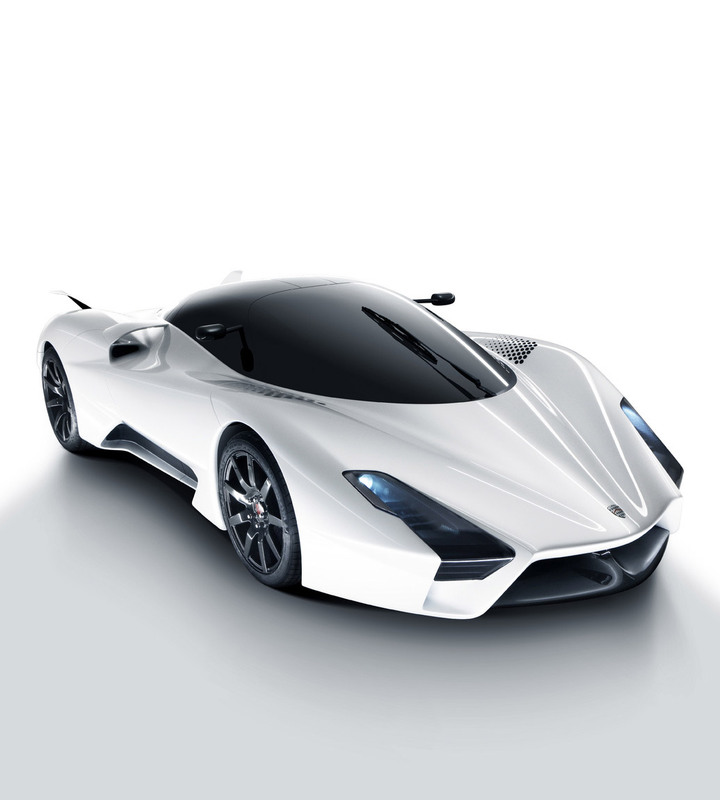 1.SSC Tuatara Supercar is the Fastest of the Street Legal of the Supercars of top ten in third Place too! The Top Speed is 275 M.P.H too! In the U.S.A too! Nobody here even knows of the beast they call the hennissey venom gt, it will hit 275 and is the fastest car period, 0-200 15 sec Bugatti 24 sec! Damn! It’s the concept car of the supercar SSC Ultimate Aero.(FANTASTIC)!! Finally another American car to beat all of those foriegn cars. Hopefully it will have a better interior like the veyrons’s. Veyron super sport and ssc tuatara arethe two best super cars in the world. bucati 100mph in 2.6 sec….then why ssc…………???????????? are you sure what are your talking about Kevin ayala? the hennesey venom gt only have 1200hp and ssc tuatara is 1350hp. you say hennesey venom gt is fastest huh? Cool looking car, there are theories for everything a theory can only be true until it has been proven, they say it has a theoretical top speed of 275/mph, that does not matter because right the real record holder is the Bugatti Veyron SS. Also the exhaust on the new SSC look like a pair of balls. Just sayin’…. I just read an article at Jalopnik and it made me laugh like crazy. They said the exhaust looks like balls. Spaceballs. LoL!!!!!! They Said Top Speed is yet to be tested -_- Read it. Look 270+ is high . Bugatti will reach 300 first. Untill this auto is tested alongside the Bugatti, lets keep the expectation light please. Perhaps they better make it faster than said. Tri-turbos? Oh yeah. Now I have great respect for SSC, Koenigsegg, and Hennessey. I am actually very irritated with the Bugatti. I mean, the price is bad. I hate luxury that goes fast. I see no hidden charm behind the Bugatti. It’s just a fat car. And I meant it. FAT. Not Fast. But then I regained my love for cars thanks to the Venom. Soon enough, I discovered the Aero. Then the Agera. Now, another SSC. Tuatara. The Tuatara is the only reptile to have its very own species. Like this car. It’s from 2018 brought to us by Lelouch vi Britannia via Nightmare frames. You’ve totally missed the point Darby. If your going to buy this car, your mostly going to use it on puplic roads..
To all you haters out there including darby there is actually a reason for this car its not only a superfast million dollar super car the founder and inventor of SSC created this vehichle to also perform just as well as your everyday honda civic or toyota prius which ever way you go, this car handles just as well on the streets as it does on the drag strip with no crappy paddle shifters to get in your way and if you’re worried about G-forces it puts on your body at 276 MPH it’s only about 0.7 G’s and it is truly a great car, the only cons i have about this car is at top speed your gas is gone in 7.5 minutes and yes thats alot for a 32 gallon tank but adrenaline junkies like me can chase down gas prices. Honestly to me personally cars like this should not even be made. There is a limit for everything. Going 275mph is too much. Imagine the g force of going that fast. I love the hyper cars and think they are amazing, but unless we can re-engineer our bodies, is there a reason besides having the fastest car for now, if someone can’t even handle the intensity of the car? They’re is a reason why no one talks about this car. The reason: No one cares..
Looks like a lamborghini!! I Like the Bugatti SS but my love for Shelby is way up, I hope this does it!! Spaceship Gone Wild. I’m very confused about how I feel about this car. And that’s not a bad thing. The engineering that’s gone into it by adding those air ducts on the side for aerodynamics is fascinating to me. The styling is what we need: A Car of the Future. All these HyperCars out now are absolutely beautiful and deserve to be in a category of their own. But this one should have its own catergory also. The Veyrons, Paganis, and FXXs all have an element of luxury mixed with absolute engineering feets of accomplishments. The Ageras, Venoms, and Zenovos have amazing styles mixed with pure, unforgiving, raw power to back them up. But this car seems to me to be a technological masterpiece (and a nightmare). I just want to see the numbers on the track to see if it can even keep up with the Veyron, Venom and my favorite the Agera R. Remember, SSCs Ultimate Aero was basically a very nice, suped up Kit Car, running a Twin Turbo’d Corvette engine. I hope for the US that this car can put us back on the Hypercar map, next to the Venom. How about they make a grand prize for the first production car to go over 300mph!!! cause i know the bugatti can do alot more with that engine and they say the tuatara can go faster lets see how fast.. no more nickel and diming these speeds, CRUSH THEM WITH PURE DETERMINATION!!!!! that car is gonna get their title right back on number 1!! This car is but a taste of supercars that we will be seeing in the next 30 years. This car looks like it could take off into outer space. Truly amazing car. Even if I had the money to spend on a car this fast I would be scared to even take it up to 240 mph. 275 mph is just plain crazy but amazing at the same time. Good about time Bugatti wasnt the worlds fastest car. And even though it’s a protype it looks awesome and Wish i had $970,00 grand. To buy this beauty. the overall shape says its not american,something like Lamborghini or Ferrari.As its designer worked for Ferrari,Pinifarina.its like italian supercar. I think its gonna be good but not so good to be the fastest. This is great,I love it. im about to write an article about this, the venom gt and veyron supersport. just comparing the competition for worlds fastest car and the rivalry between companies. It looks pretty sweet. Let’s hope it can back up the claim of 275 mph. However I think people in this industry should probably stop the speed one-upping soon. It’s scary to think what would happen if they made cars that could exceed 300 mph. It’s just not practical at that point. I highly doubt they will disappoint the world. As the world shoul already know, the best cars are made right here in the USA. Doubt that car goes 275, that beats the bugatti ss. give me proof.